Embossing rolling pin with Nord Europe Folk pattern. My design patterns inspired by Skandynavian folk. 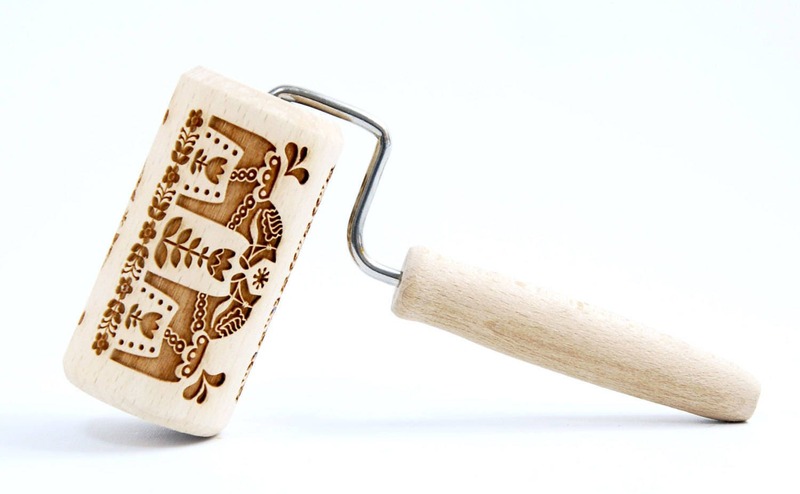 The handmade rolling pin is made of European beech wood. 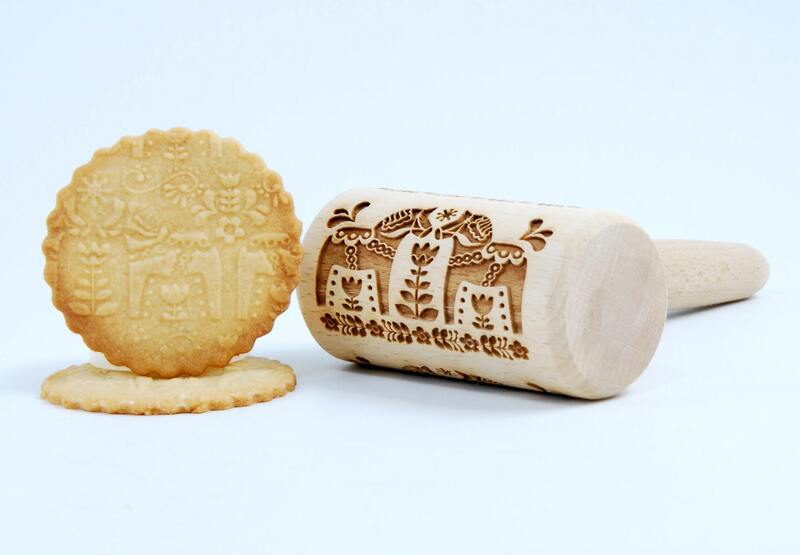 The MIDI rolling pin is 2,05 in (5,2 cm) in diameter, 3,78 in (9,6 cm) width, 7,5 in (19 cm) length, perfect for you and children. They are perfectly safe for use with food.